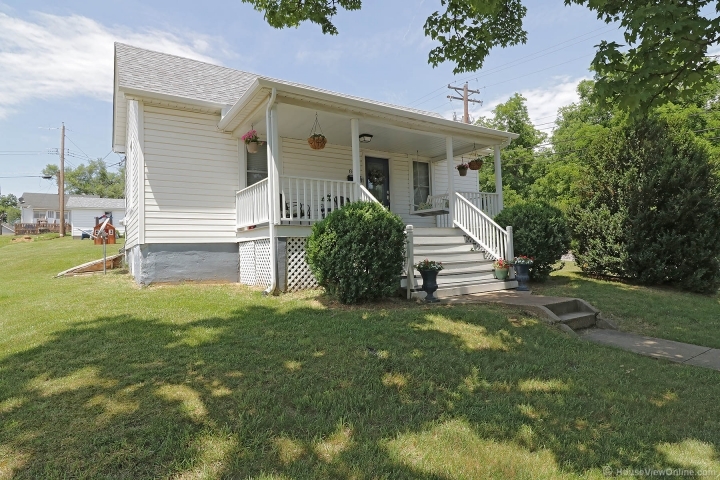 This adorable 3 bedroom home is right in the heart of Festus! Beautiful laminate flooring in the main living area and in all of the bedrooms. Kitchen has dark wood cabinetry, updated lighting, ceramic tile and stainless steel appliances. Updated bathroom with custom tile surround, tile flooring, newer toilet, newer vanity, and lighting. The exterior of the home features a large covered front porch, corner lot, and a 1 car detached garage. New roof! Conveniently located to local shops, family restaurants, parks and easy access to Highways 61/67 and 55. You don't want to miss this one, call today for your private showing!